We have sold hundreds of thousands of bikes. A high level of engineering and attention to detail is seen on all Gravity Fat bikes. Happy customers send friends and family to buy these incredibly capable Fat bikes all the time. "First impression is the frame is nice looking…the bike looks good....i rode it last night. It did pretty well, about what i expected…very flickable. More so than my Pug (Pugsley)." 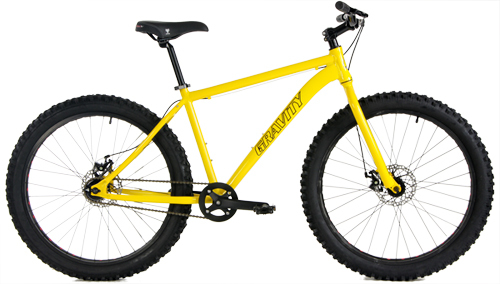 The bike is very fast and nimble, you can toss around when you need to and still climb with out a problem. I like the way the frame felt...the tires soak up a ton of the chatter. …it had no problem handling what ever I tossed at it. It still did great in the sandy stuff, crushed the roots and rolled over anything I pointed the front wheel at." 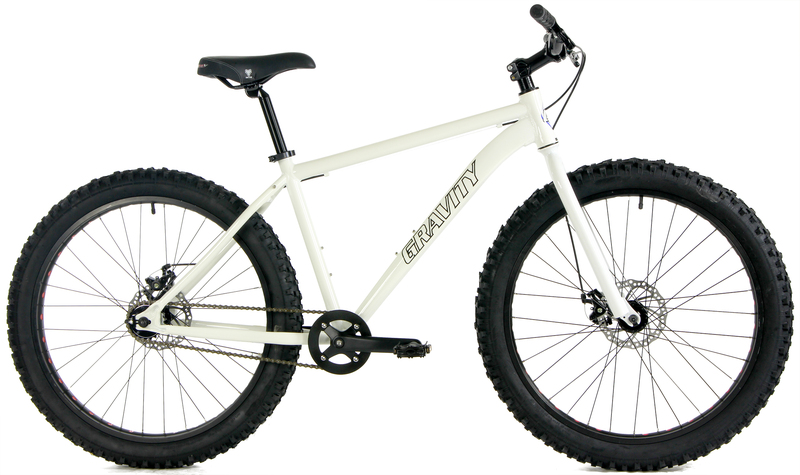 Even at list price, bicycle tech editors feel the Gravity bikes are incredible values. Buy yours now at a discounted, factory direct price with FREE SHIPPING to 48 states. The last shipment sold out incredibly fast. Now, ONLY For this Fall shipment, We've negotiated a lower price from the factory and a lower freight cost as well. This is a promotional price for Bikesdirect Pre-Order customers ONLY. 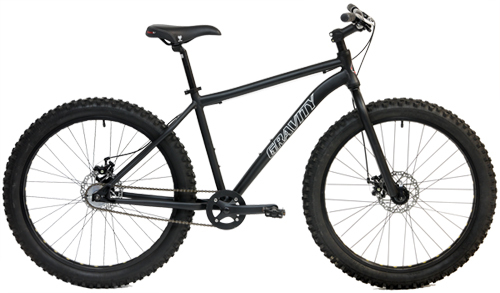 These Awesome Fat Bikes are selling out rapidly and will be up to $100 more for any that are left instock. At the current rate of sales, many sizes will be gone and may not restock for quite some time. 15" fits most 5'3" to 5'6"
17" fits most 5'6" to 5'9"
19" fits most 5'9" to 5'11"
21" fits most 6' to 6'3"